Sunny with passing clouds. Slight breeze blowing towards CF. High 80F. Infield was dusty, and the foul-lines were marked up over the weekend. In past games, UTD was known for spreading the ball around the field, including down the foul lines. They even carry a few lefties in their line-up. 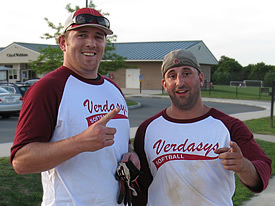 In the present game, their team struggled to make such base hits, thanks to the Verdasys defense. 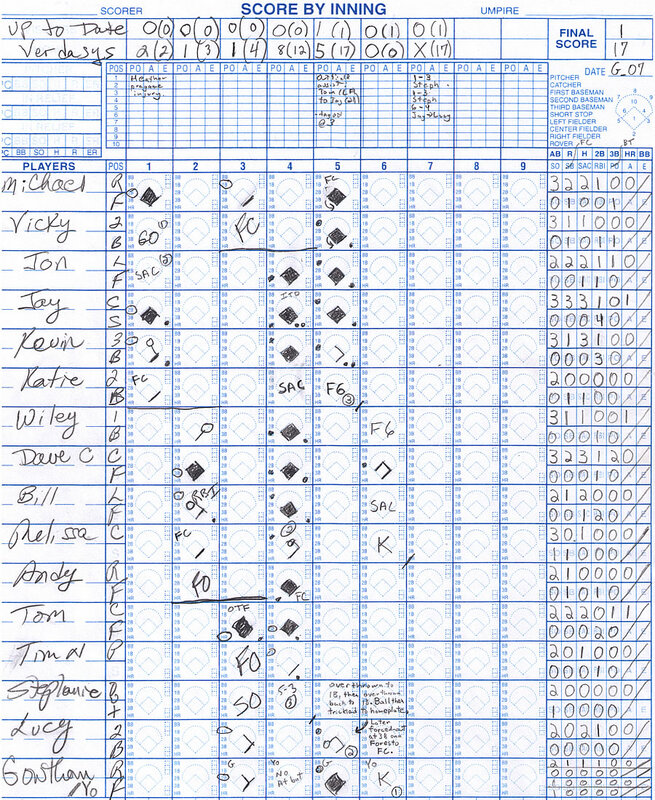 In the game, only one ball was hit down the LF line. A second batter appeared to have targeted the RF line, but kept knocking it foul and out of play. UTD’s outfielder appears to have trouble communicating and missed some routine outs. Offense struggled a bit in the early going, but found their stride mid-way through the game. UTD’s defense was sharp in the early going. Team was made aware of UTD’s ability to spread the ball around the outfield before the game. Went with a 4-fielder formation. Coverage in LF and CF by Cottam, Jon, Claffey and Bill was solid, and mitigated UTD’s ability to spread the ball. Foresto, Gowtham and A-WOL completed the coverage in RF. Balls that landed in the outfield were returned quickly to limit batters primarily to singles. Infield continued to do their thing, making routine outs and denying speedier runners of infield hits. Stephanie appears to be settling into the FIF position.